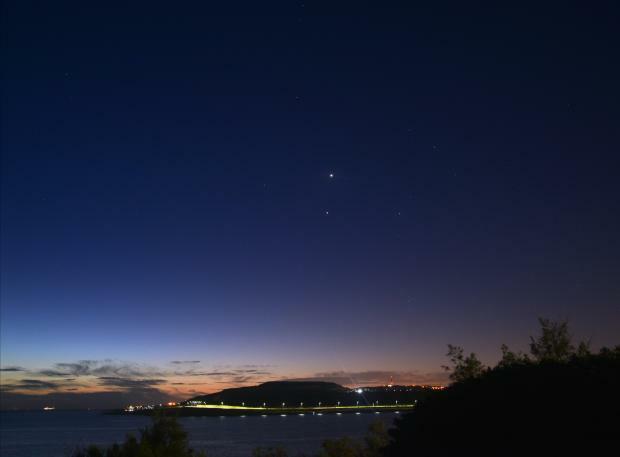 The sky was clear enough on Saturday at dawn to enable reader Klaus Farrugia capture Venus above Jupiter. The pair will at their closest on Tuesday at dawn. Both planets are in motion as they orbit the sun following their respective orbital path. Antares, in the constellation Scorpius the Scorpion, shines bright over Malta own “mount” Magħtab.